Cap of Agde Mediterranean is located In the south of France, in Occitania, a region that enjoys 300 days of sunshine a year; everyone agrees that it is a great holiday destination. It is made up of 3 complimentary seaside resorts:Cape of Agde, Vias and Portiragnes, with fine sand and volcanic beaches, beaches bordered by pine forests, and an authentic hinterland with towns and villages with a well kep heritage, with living tradtions and varied arts and crafts professions. Featuring Pézenas, the town of Molière, Agde, the Ancient Phocaean trading post or Montagnac, the great mediaeval fair town. 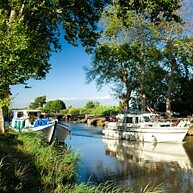 The Canal du Midi is the backbone of the Cap d'Agde Mediterranean passing through it from one end to the other. There are so many entertainment and cultural events on offer that you’ll keep wanting to come back throughout the year. It also offers 20km of coastline, partly wild and partly developed fine sandy beaches, a natural environment made up of parks, pine forests, closely protected marine areas, historical monuments, astonishing heritage, top quality sporting facilities and is a permanent whirl of activity. The Cap d’Agde is a large marina on the Mediterranean made up of small basins, where life is punctuated with regattas, competitions and nautical events such as the Salon Nautique in autumn during All Saints weekend. It features state-of-the-art equipment in a protected environment. It offers 3.300 stands and can accommodate boats from 6 to 35 metres. The port of the Cap d’Agde is Blue Pavilion certified (the eco-label which guarantees the quality of water) and the flagship port of the Odyssea project for the development of sustainable marine industries, targeting ecotourism, river tourism and culture. 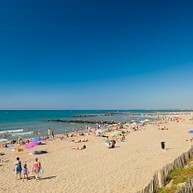 Cap d’Agde Mediterranean has 20 km of well-kept sandy beaches. Some of them are wheelchair accessible. Some beaches are wilder and more secluded, while others are lined with pine or tamarisk. Some accommodation has direct access to the beach. The water temperature ranges from 18 and 23° on average in the summer. All shops and services are available close to the beaches. 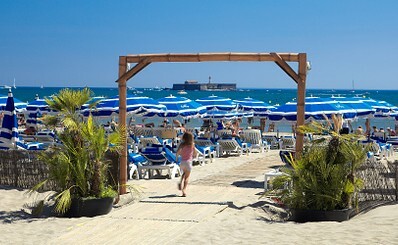 The resort of Cap d’Agde has the Family Plus label. The canal can be discovered in many ways: the classic way is an excursion boat, departing from Agde, Grau d'Agde, Vias or Portiragnes, with or without meals. You can also travel along the banks of the canal, on the old towpath by bike or on foot in certain parts. Various events are organised on the canal, such as music cruises. Lastly, you can rent a canal and navigate the Canal as you please, or sleep in a floating guestroom. Agde and Pézenas labelled “Sites of Arts and Crafts"
In the quiet streets of Agde, the arts and crafts workshops of the Perle Noire show the challenge of modernising the myth of the “Belle Agathoise”. The seamstresses with gold fingers, accessories designer, fashion designer, jewellery designer, jeweller-sculptor and leather goods maker... all show their expertise at their workshops and Galerie de la Perle Noire de la Maison des Métiers d’Art throughout the year with exceptionally sophisticated parades and exhibitions. At Pézenas, crafts have been deeply embedded in a long history that started 50 years ago for summer visitors with La Mirondela dels Arts, where craftsmen occupy their 17th-century vaulted stone shops year-round. 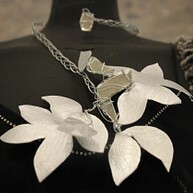 In the beautiful surroundings of a Renaissance residence, the “Ateliers d’Art de France” (France Art Workshops) are a showcase of creative talents: 130 creative artisans from all over France present jewellery and home décor. The Métiers d'Art centre of Pézenas was designed around the theme of restoring heritage through wood, iron and stone crafts and, as necessary for Molière, the crafts of the theatre. Restoration crafts are essentially stonework, metalwork and woodwork with artisans that have labels allowing them to work on the restoration of historical monuments. Theatre crafts are currently located in Agde with a prop person who was trained at the Comédie Française. Other trades relate to restoring heritage such as gilding with fine gold, restoring paintings, creating and restoring stained-glass windows, and restoring antique furniture and upholstery. Most of our towns and villages have a mediaeval origin; we find elements of this heritage in Agde (piece of ramparts and cathedral), Pézenas (Tower of Peyrat, Faugères gate), at Vias (old dwelling), Castelnau de Guers (the Castle), Saint-Thibéry (the abbey), the circular villages of Saint-Pons de Mauchiens, Caux, Nézignan l’Evêque and Nizas. The rural chapels of Saint-Jean de Bébian, Saint-Martin de la Garrigue, Saint-Martin de Conas and Saint-Adrien d’Adissan bear witness to this past, together with the fortified mills of Roquemengarde and Conas or the painted ceilings of the Brignac hotel in Montagnac. The end of the French Wars of Religion gave way to a period of peace and prosperity in France. For many towns, this meant that the mediaeval walls were gradually abandoned to make room for expansion, with the development of promenades and avenues. 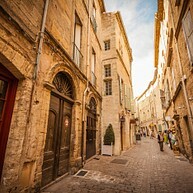 The mediaeval fairs of Pézenas and Montagnac still held a strong passion and the richness of these cities resulted in the construction of many residences that can still be seen today. Agde saw a similar boom and its residences were built in basalt; this was also the case in Vias and Portiragnes. The churches are decorated with altarpieces (Pomérols, Pézenas) and furniture. You can discover these treasures with guided tours and a free tour map and audio text. 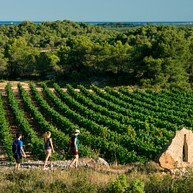 Wine growing is present throughout Cap d’Agde and its wines can be tasted in local villages in the Hérault-Méditerranée area along the "Wine Growers' and Fishermen's Route". These are more than 90 cellars and wineries to welcome you throughout the year. Vinocap, the largest open-air wine tourism exhibition in the south of France, will be held on Cap d'Agde's quayside on Ascension weekend, from the from 10 to 12 May 2018 on the quays of Cap d'Agde. In the summer, the “Estivales” of Pézenas takes place on Friday nights from late June to late August for you to discover the wines of AOC Pézenas, with an open-air festive atmosphere. A jewel of architecture, with various facets of the Middle Ages (a mediaeval Jewish quarter), Renaissance, but above all, 17th-century architecture, including many residences nestled into the streets of bygone age. It’s a town inhabited by the ghosts of Molière, the Prince of Conti and many others, and currently home to craftsmen, artists and entertainers. Three theatres continue Molière’s tradition while also showing modern creations, with cultural festivals throughout the year. It is one of the oldest towns in France, founded by the Greeks on the banks of the river at the foot of a former volcano. 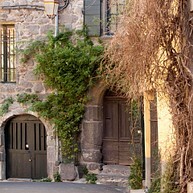 Its monuments: rampart, cathedral, Renaissance town houses, alleyways, stairways and entrance gates, are all made of basalt. Visits are on set dates or by appointment to discover the area's ancient or more recent heritage. In Cap d’Agde Mediterranean, everything has been designed for a holiday with family or friends. Safe beaches, the chance to enjoy all kinds of activities under the water, on the water, in the trees, along bike paths, along the Canal du Midi, in the forest and even in the air. To name a few: Europark, Aqualand, Dino-Land, Cactus Park, Forêt d’Acrobates, Agd’Aventures, Azimut Aventure…. Beach clubs and entertainment in the accommodation are there for everyone, and especially children, to enjoy their holiday to the full. In the evening, young and old alike come together at the local fairs. Young people can enjoy the nightlife thanks to the many bars and clubs in Cap d’Agde Mediterranean. For wellness, choose Cap d’Agde Mediterranean. You’ll be choosing a protected land of natural spaces, a coastline stretching across... km of well-kept beaches and a high-quality marine environment that for 30 years has been greatly cared for. Every year, there is a wide range of treatments available in relaxation, wellness and beauty facilities. Fitness centres, spas and masseurs offer their services by the seaside or in the towns and vineyard villages. With intimate spas in the best hotels, high-end open-air facilities and high-tech aquatic centres, you can enjoy a cocooning ambiance, cosy surroundings, a sporty or zen atmosphere, with children or without!....the choice is yours with these high-quality services. Here are a few ideas to get started: Balnéocap, Spa Farret, Archipelago the City of Water Aquatic Centre and Spa, Beaumont-Spa, Palmyra Beauté at Hotel Palmyra, Natureva Spa, the Spa of Hotel de la Distillerie. Inscribed on the World Heritage List by UNESCO the canal can be discovered from the water at the slow pace of a floating barge or during a wonderful walk along its shady banks. You'll discover the only round lock, also made of basalt, with 3 different levels of water; a technical feat built in the 17th century. In Vias, the Ouvrages du Libron (Works of Libron) are a technical feat that ease the flow of water into the sea. At Portiragnes, the Canal is bordered by 4 km of cycle paths, and joins the towns with the beach. 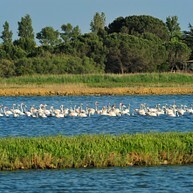 It passes through a unique natural area inhabited by birds, bulls and Camargue horses. 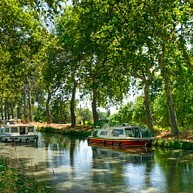 Boat rentals, canal boat trips, floating guestrooms, you have such a wide range of options to discover the Canal du Midi in your own way. In summer, the music cruises departing from Vias or Adge let you discover the canal with music and wine tasting. The Cap d’Agde has a “20th century heritage” label, a distinction that honours buildings and major urban centres built between 1900 and 1975. Built in the 1970s by Jean Couteur a great seaman, lover of the sea and founding architect, “Port Saint-Martin” will be the first district of the seaside resort to take off as part of “Mission Racine” (a government project for the seaside tourist development of Languedoc-Roussillon). A great port opened out to the sea and a flagship site to explore. The Musée de l’Ephèbe of underwater archaeology of Cap d’Agde is unique in France, it displays treasures once swallowed up by Adge's waterway: rivers, lakes and sea. 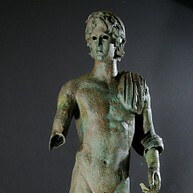 All these objects, which include the most important collection of bronze statues found in situ bear witness to the town's past wealth and charm. Pinet features a section of the old Roman road, Via Domitia. You can walk on a small section of the road and look at the explanatory panels. Elements of the former Oppidum d’Aumes (former proto-historique habitat) can be seen in the small church in the village square. Excavations have uncovered a Roman villa on the site of the Auribelle, not far from Pézenas. A sarcophagus was found in Castelnau-de-guers, a copy of which can be seen at the Town Hall.